ENJOY YOUR RETIREMENT BY START BUILDING SOMETHING GREAT! Buy Triple-click product : click below link with great discount! Author Suma AntonyPosted on May 10, 2018 May 10, 2018 1 Comment on ENJOY YOUR RETIREMENT BY START BUILDING SOMETHING GREAT! This Website is mainly focused on Single mothers & house wives and for that matter even Men who struggle to travel to and fro by spending almost 4 hours a day for work to earn a living and at the same time they have the responsibility of taking care of their children! If you are one of them, I have some good news for you! I can understand your struggles as I have been there in that position! I worked in Corporate world for almost 36 years and just got retired as a General Manager (Sales)! It has always been in my mind how can I help women in our society who have the responsibilites of raising their children and financial burden of meeting the two ends. 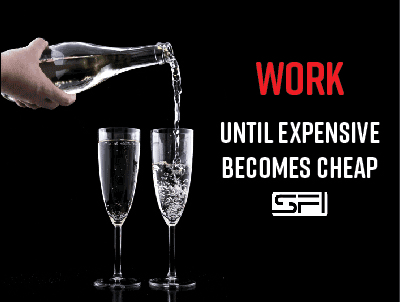 Once you sign up you will get a SFI ID by which you have to log in daily and complete 30 days training, there are 14 Core Lessons & 45 sub lessons – total 59 lessons. The Support Team of SFI is No.1 among Network marketing business available in the world! You just follow them and go through all the 15 tabs which which will be red in the beginning, but as you study one by one and follow the steps, all the red tabs will become green! 1. Go to TripleClicks Tab in the Home page (www.tripleclicks.com/index.php). Find products that you want to sell. 3. Use this link in your emails, social media posts, etc.—or use the product’s banner on your blog, personal website, or third-party websites. 4. Each time someone clicks your link (or banner) and buys the product, you earn a handsome 45% CV commission. Details marketing methods and aids is under the Marketing Tab in the Home page (www.sfimg.com/Resources/MarketingCenter?form=MarketingMethods). You can play games & win prizes /versa points. Don’t get tired of working until it is done! It has been observed that most of the people get tired of working too fast, but this will take you now where! Ever since I started this journey, I have come across many postings in different Forums, people complaining that their Personally Sponsored Affiliates (PSA) don’t work, but no matter one person or the other don’t follow you, but you move on with your daily strategy until your work is done! All the best for the day! 4SM Marketing Blog at WordPress.com.